SYNOPSIS: Rumspringa is the time when Amish teens are allowed to experience life without the rules. It’s an exciting time of personal discovery and growth before committing to the church. But when a young teen disappears without a trace, the carefree fun comes to an abrupt and sinister end, and fear spreads through the community like a contagion. Well, well, well. This was probably the first Kate Burkholder book that I enjoyed, for a multitude of reasons. For one, Burkholder herself was far less grating in this one, and less liquor and “poor me” helped immensely. Then there was the fact that there was actually some change and development in the relationship between her and Tomasetti. I also enjoyed the fact that, while she spoke for ages about the Amish again, it wasn’t nearly as bad in the other books, because they were not these amazingly perfect beings or anything like that. The story was also extremely interesting, a mystery I wanted to know more of, to figure out, and instead of wasting forever and six days going around in circles in the case as usual, Castillo lines this one up perfectly, and it keeps you hooked and engaged throughout. Man, it’s actually a really good story. Not too many bells and whistles, but it’s a goodie. I think another relief for me was that technically all this drama concerning the Amish was not taking place in Painter’s Mill for a change, because I maintain that, while Burkholder has been chief of police there for three years, for a small, idyllic little town, there is a lot of murder and mayhem concerning the Amish, which makes it unbelievable. Burkholder didn’t moan nearly as much as usual, and I only had flickerings of annoyance with her this time around, and it made for an overall better experience. As you can tell, I was more impressed with this book than I thought I would be. Picked it up because I was bored and just wanted something quick, and instead I found something quick and interesting, something I did not expect from Castillo’s Burkholder series. You can also read this out of sequence – might be better all round for a look at everything, but the book gives you enough information that if you don’t know (or have forgotten a lot, like me), you will still follow without issues. Worth a look see (just don’t judge it by the cover – gosh, that is bad). 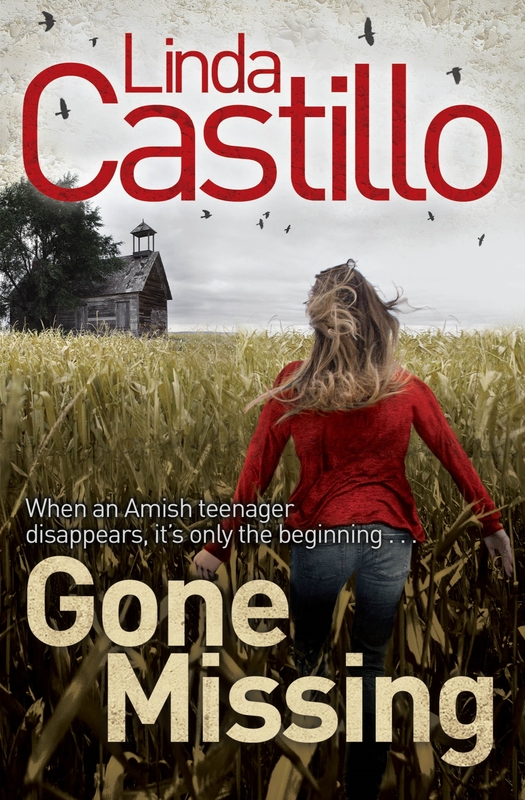 This entry was posted in Books and tagged Amish, book reviews, books, interesting, John Tomasetti, Kate Burkholder, Linda Castillo, mystery. Bookmark the permalink. I’m glad you enjoyed this one! I find the Amish so interesting, so maybe I’ll put it on the Captain Eventually list. Great review bestie!! Thanks kindest! They are interesting, I must admit. Nice pun at the end there!!! My mom was into books like these, read em all the time. This sounds like one she’d love. Nice review! Awww! Maybe she did read these books, if she was into this type of thing. This was definitely the strongest of the four books I’ve read in this series.